To make it easier for fans to enter the world of fan mods and expansions, Stardock and Mohawk Games have just released a new update for Offworld Trading Company, adding Steam Workshop support to this space trading simulator. Yearning for more adventures out in the great beyond? Here are some of the best PC games, set in space. The game’s xml files are now open to tinkering, with players able to change data for buildings, resources and units, while experienced modders can get into the guts of Offworld Trading Company to program their own C# code, should they wish. Modders can now access Steam Workshop mods directly through the main menu, making it dead easy to swap out, add in or get rid of mods whenever you want. 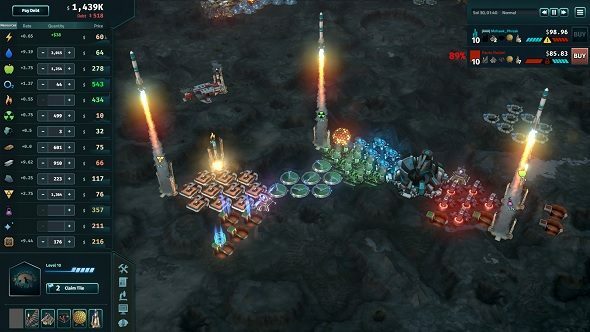 According to Soren Johnson, president of Mohawk Games and lead designer on Offworld Trading Company, “advanced coders can write their own code that will execute right alongside the game’s code,” which allows for AI to be tweaked and extra features to be added. If you have never touched a mod before and want Offworld Trading Company to be your first foray into the scene, Mohawk Games has you covered. Lead programmer on Offworld Trading Company, Jason Winokur, has made three videos to act as a helpful introduction to the world of modding. The first video can be found above and check out the Mohawk Games YouTube channel for the others. Offworld Trading Company currently on sale for 66% off on Steam, going for $26.39/£10.19, compared to the usual price of $39.99/£29.99.